On the Universal liturgical calendar of the Church today’s feast is for Saint Martha of Bethany. 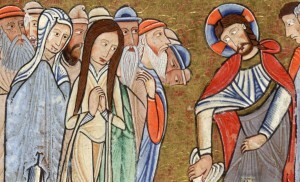 Yet, on the Benedictine liturgical calendar the Church honors the three of Bethany: Mary, Martha, and Lazarus described in the Gospels as saints. Revealed in sacred Scripture, these people are acclaimed as the much-loved friends of Jesus (according to Luke and John). In the Gospel of Luke ewe read the well-known story of hospitality noting Martha as a symbol of the active life and Mary of the contemplative. 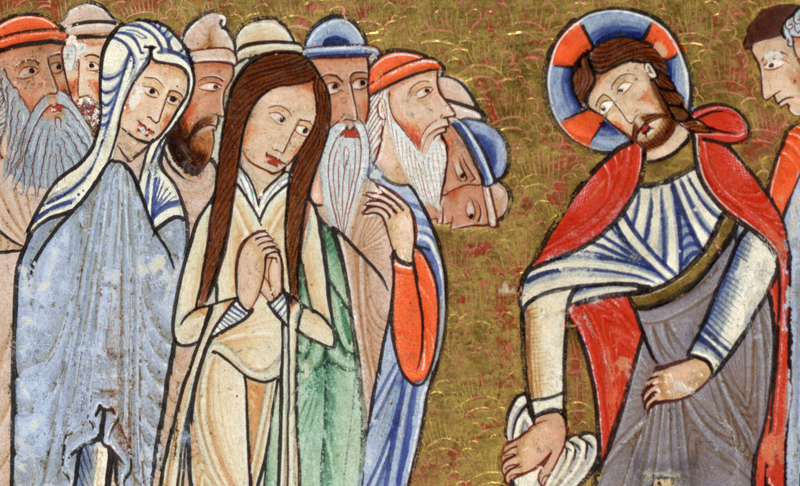 The Lord holds both women in tension of what the disciple is to be: a contemplative in action. The Lord’s raising of Lazarus from the dead is an anticipation of resurrection and a sign of eternal life for the rest of us who are baptized into the Mystical Body of Christ. Resurrection from the dead becomes, with this pericopy a powerful “game-changer” in the life of every human being. The death and subsequent raising of Lazarus evokes in each of us the acknowledge that we do not make ourselves, that God is the only Creator of who we are and what we are about as persons (not as individuals). This gesture of the Lord’s invites each of us to a deeper faith in the Messiah. So, why is honoring all three characters crucial in our Christian life? Each person: Mary, Martha and Lazarus are convicted in the friendship with Jesus. If friendship, then fidelity, and perseverance, gratitude and hospitality. Why is this a true feast for Benedictine monks, nuns, sisters and Oblates (laity)? All guests who present themselves are to be welcomed as Christ, for he himself will say: I was a stranger and you welcomed me (Matt 25:35). Proper honor must be shown to all, especially to those who share our faith (Gal 6:10) and to pilgrims. Once a guest has been announced, the superior and the brothers are to meet him with all the courtesy of love. First of all, they are to pray together and thus be united in peace, but prayer must always precede the kiss of peace because of the delusions of the devil. All humility should be shown in addressing a guest on arrival or departure. By a bow of the head or by a complete prostration of the body, Christ is to be adored because he is indeed welcomed in them. After the guests have been received, they should be invited to pray; then the superior or an appointed brother will sit with them. The divine law is read to the guest for his instruction, and after that every kindness is shown to him. The superior may break his fast for the sake of a guest, unless it is a day of special fast which cannot be broken. The brothers, however, observe the usual fast. The abbot shall pour water on the hands of the guests, and the abbot with the entire community shall wash their feet. After the washing they will recite this verse: God, we have received your mercy in the midst of your temple (Ps 47 :10). Great care and concern are to be shown in receiving poor people and pilgrims, because in them more particularly Christ is received; our very awe of the rich guarantees them special respect. The hospitality shown by the the Holy Three is what we come to know as their personal mission given by God, their personal “I Am” and not mere kindness to the other. In the person of Jesus we meet his enjoyment of their company because it show us how the beauty of human friendship and love is at the core of our DNA. The Church’s honoring Saints Mary, Martha and Lazarus is a sign of hope and promise for all who are in Christ Jesus. Can we live as the Saints of Bethany? Can we live as Saint Benedict shows us?